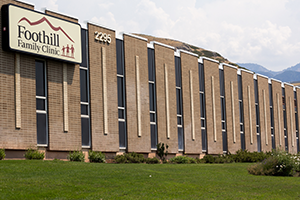 Foothill Family Clinic has been a part of the Salt Lake community since 1978. This location has 9 physicians (including a neurologist) and 2 physician assistants practicing medicine full time. There are also several specialists that consult and see patients in this clinic on a part time basis. We have a database of over 60,000 patients to recruit from for our studies. The Mission of Foothill Family Clinic is to provide exceptional quality care while keeping the patient first.